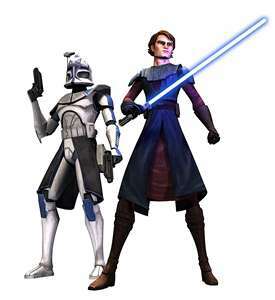 This ster Wars: Clone Wars photo contains surcoat. There might also be tabberd, tabard inn, falchion, fautsoen, and schede. Love this one of Rex and Anakin. Quite the team!